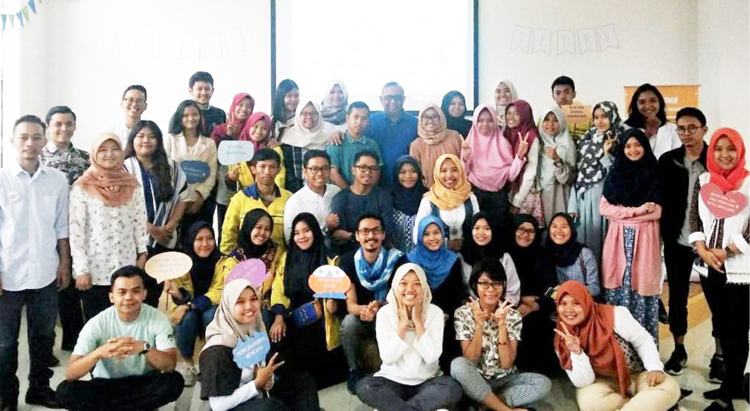 THE INDONESIAN YOUTH ON DISASTER RISK REDUCTION (IYDRR) FORUM BEGAN TO TAKE SHAPE IN 2015, AS A GROUP OF JAKARTA UNIVERSITY STUDENTS PARTICIPATING IN DISASTER MANAGEMENT ACTIVITIES RECOGNISED THE NEED, AND THE OPPORTUNITY, TO INCREASE THE ALL-IMPORTANT ENGAGEMENT OF YOUTH THROUGHOUT DISASTER MANAGEMENT PRACTICES. IYDRR’S CO-FOUNDER AND CHAIRMAN, FAJAR SHIDIQ, SPOKE TO THE AHA CENTRE ABOUT HIS EXPERIENCE IN EXPANDING THIS STRATEGIC AND MODERN MOVEMENT. 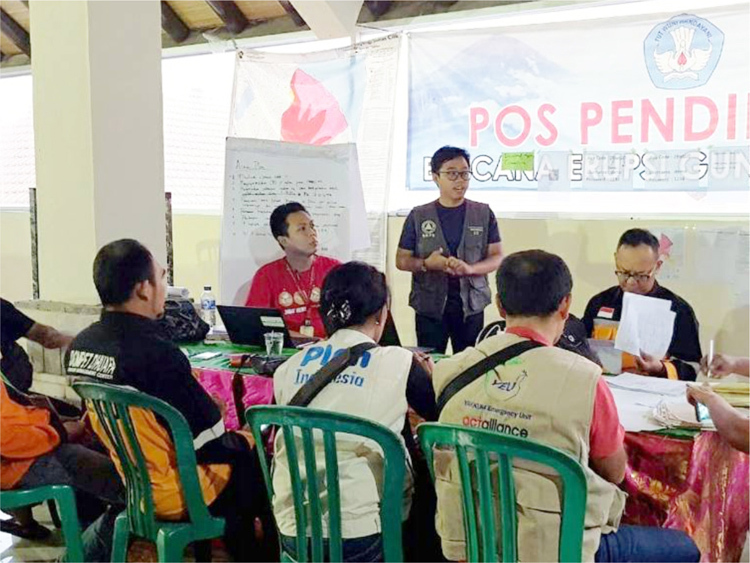 While still relatively new, the organisation has already begun to engage strongly with the wider national disaster management movement, and even dipped its toes into regional and international circles. 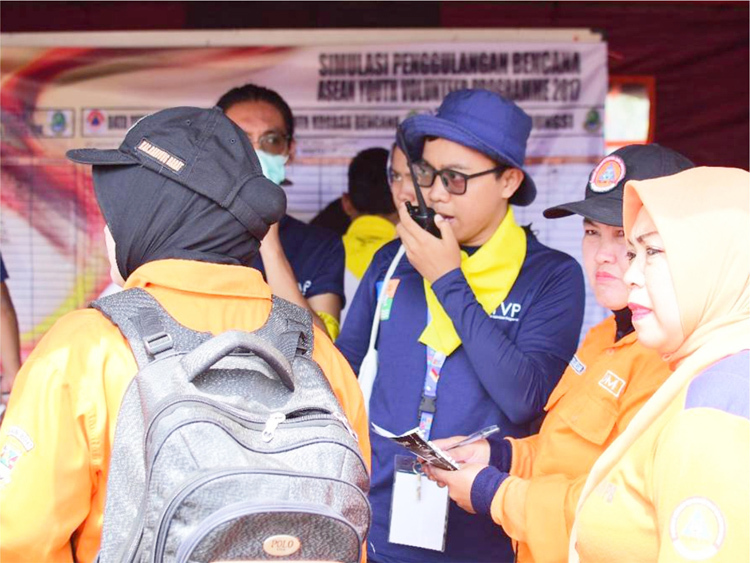 However, Fajar highlights the importance of developing a strong presence locally, as the organisation continues to advance its presence within the Indonesian disaster management sector. Youth were traditionally more engaged in response efforts, as volunteers. However, with more recent inclusion in other disaster management aspects–such as policy development and decision-making–such youth groups starting to gain more opportunities to engage. Examples of this increase include the engagement of youth within the ASEAN-ERAT Induction Courses, with the AHA Centre recognising the importance of youth participation within One ASEAN, One Response efforts. While the organisation works with extremely limited funding and relies heavily on the passion and time provided by its more than 100 members, a range of achievements have already begun to appear. Fajar highlights the design of infographics–and ultimately the use of these tools after the 2018 Jakarta earthquake–as a key example of what was perhaps considered a small and unimportant activity holding great final value. “After the earthquake these infographics were being shared everywhere–people were contacting us and requesting we send them,” he recalls. It is such outcomes that IYDRR hopes to replicate and expand, with an aim to develop a range of tools to support disaster risk reduction and response for communities, particularly in urban areas. “When you look at the SDGs, it’s clear urban areas are high-risk” he comments. “This is an area that needs to be strengthened, and therefore we want to focus heavily on supporting such efforts.” In the era of technological advancement, coinciding with unprecedented growth in technological use, such efforts fit perfectly with the skills held by youth organisations such as IYDRR.